In July 2004 my lovely Dad, Raym, complained of feeling lethargic and tired. He was 59, it was the end of the school term, he had started a new job in the last year, ran our little smallholding in a rural village in North Lincolnshire and had a 60 mile commute each day. We all thought he just needed a holiday and to slow down a bit. He was reluctant to go to the Doctors but after a phone call from myself asking him to get himself "checked out" - more to reassure me, my mum and my younger brother than anything else - he agreed. He was diagnosed with stage four bowel cancer on 12th July. He passed away on 16th August; just five weeks later. The cancer had metastasised in his liver and by the time he was operated on to remove the tumour from his bowel he was already too poorly to withstand any further treatment. Other than the lethargy he felt he had experienced no other symptoms. Our loss and his loss – for the many years he still had to live – was devastating. Our loss and his loss – for the many years he still had to live – was devastating. Fast forward 13 years and my Mum received a phone call from my auntie. 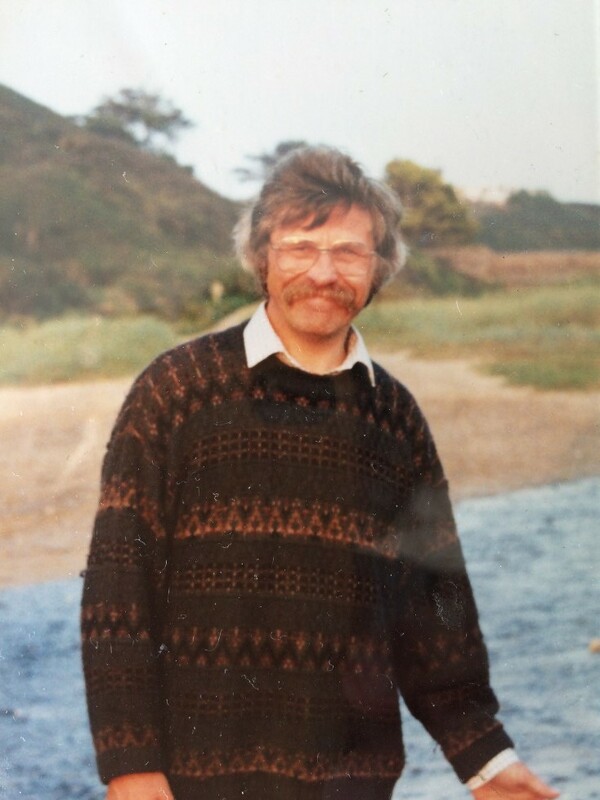 My uncle, my dad's younger brother, 58, had been diagnosed with stage 3 bowel cancer. He had spent a year presenting at the doctors with his symptoms only to be told he was most likely experiencing IBS. Thankfully, his prognosis was positive but two operations and a course of chemotherapy was needed. At around the same time in January 2017, aged 42, I started experiencing my own symptoms. These were a change in bowel habits - constipation and diarrhoea - as well as blood in my stools. I found out my uncle had been diagnosed with bowel cancer two weeks after my symptoms first appeared. I went to the doctors for the first time to request the stool sample test in Feb. It was this initial appointment where I had a battle with the GP to agree to me having the test; he was at pains to tell me the complexity of “false positives” of the test and the expense involved seemingly dismissing my anxiety around my own symptoms and my family history. Thankfully, access to the test was granted and it came back negative. However, on visiting a different doctor for a follow up appointment she made a fast track referral for a colonoscopy to ensure all preventative measures had been taken. Again, thankfully, this procedure found no evidence of polyps or tumours but it did trigger a referral to a consultant and the family genetics service. Other than the lethargy he felt he had experienced no other symptoms. After a very in depth consultation with a very knowledgeable family geneticist, which took into account an abundance of family history and any health issues, I have been deemed to have a high to moderate risk of developing bowel cancer in the future, as has my brother and my dad's five younger siblings. This means that we are all now eligible for increased screenings and regular colonoscopies from the age of 50 - but the responsibility lies with us to make those proactive choices to seek such treatment. Myself and my brother believe that if having any of these potentially preventative screenings and treatment could have saved my dad's life then he would have grabbed that opportunity. Sadly those screenings didn’t exist for his age group in 2004. Thanks to the tireless campaigning of Bowel Cancer UK we now do have that opportunity. Not only do we owe it to ourselves to look after our health and have regular checks, we owe it to my Dad and anyone else that has been affected by bowel cancer.